They are certified. This means that they have completed all of the requirements, including training and UW-Extension-approved volunteer service. They are performing volunteer tasks for Extension. The Master Gardener Volunteer title can only officially be used when working on UW Cooperative Extension approved volunteer projects. They cannot receive remuneration for these projects. It is permissible at any time or place for an individual to say that he/she has completed the Wisconsin Master Gardener Training Program. 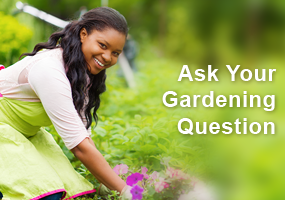 However, they can only answer questions and perform tasks representing themselves as a Master Gardener Volunteer when they are actually volunteering for UW-Extension. 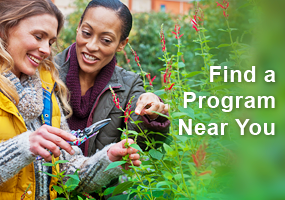 Master Gardener training and experience may be given as qualifications when seeking employment. However, once employed, Master Gardener credentials should not be displayed. MGVs are advised not to advertise as Master Gardener Volunteers in their names or places of business, nor be listed as such in business advertising. The name or MG logo cannot be used for personal gain, including to influence anyone to do business with them. As a MGV, you are a representative of UW-Extension and a team member in the local Extension office. Therefore, it is important to maintain a professional image when you are serving in any MG capacity. Dress as a professional; good-looking, clean casual clothing is recommended. Try to project a positive image and be as helpful as possible. When doing a program outside of the office, wear a MGV name badge. This serves as your identification and denotes your association with UW-Extension. You may also want to wear a MGV shirt/hat, if you have one. MGVs are self-directed and self-motivated. Try to find answers to problems rather than wait for others to solve them. When dealing with clientele, remember that they have a problem that is serious to them, even though it may seem trivial to you. Listen carefully to the description of their plant problem or their request for information. Try to find out as much information as you can, so that you can make a correct diagnosis of the problem. If you don’t know the answer, realize the power in saying “I don’t know, but I will find out.” Most individuals appreciate the fact that they will get a correct answer. When providing information, do so in a clear, simple but usable manner. Most people want to know what time it is, not how the watch was made. When faced with a question you cannot answer, do not refer the caller to a specialist or educator and give them the telephone number to call. Instead, you should call the specialist or educator, find out the information, and return the call to the client. Do not “pass the buck.” Check with your local UW-Extension agent to determine the appropriate method of referral. Because you are part of a local team, take interest in what your colleagues are doing. Find out what other programs the local UW-Extension office offers. Maintain pride in the MG Program and never miss an opportunity to promote the program. As a representative of the UW-Extension, you have the responsibility to help the public, these people are our clients. All activities, by their very nature, carries with them certain inherent risks that cannot be eliminated regardless of the care taken to avoid injuries. Some of these involve strenuous exertions of strength using various muscle groups, some involve quick movement involving speed and change of direction, and others involve sustained physical activity, which places stress on the cardiovascular system. The specific risks vary from one activity to another, but in each activity the risks range from: 1) minor injuries such as scratches, bruises, and sprains to 2) major injuries such as fractures, internal injuries, joint or back injuries, heart attacks, and concussions to 3) catastrophic injuries including paralysis and death. UW-Extension recommends seek the advice of my physician before participating in any strenuous activity. You should have health and accident insurance in effect because no such coverage is provided by the University or the State of Wisconsin. MGVs work on behalf of and under the supervision of UW-Extension. Secondary liability protection is provided to all officers, employees and agents of UW-Extension under Wisconsin Statute 895.46(1). Volunteers acting under the direction and control of UW-Extension and for its benefit are considered agents and thus covered. This statute authorizes the State to pay claims based on the negligent acts of employees or agents or to defend employees or agents against allegations of negligence, which may have caused injury or property damage to others provided the employee or agent was acting within the scope of his/her responsibilities to UW-Extension. Liability coverage, legal counseling, and possible legal representation apply only when the individual is acting in an official capacity as a MGV, follows an approved job description, is supervised by a University employee, and adheres to UW-Extension policies. Coverage does not extend to other organizations or groups that a volunteer may choose to work with or has been authorized to work with. It is important that volunteers acknowledge mistakes that could lead to potential liability claims and that such incidents be reported promptly. The federal Volunteer Protection Act of 1997 does exempt volunteers from some but not all liability for negligent acts (but provides no exemption for criminal actions). It requires a selection and training program and volunteer job descriptions. Activities of a MGA are not covered under the UW-Extension liability. MGVs are not eligible for workers’ compensation. UW-Extension educators and MGAs are encouraged to purchase insurance to cover volunteers for field trips and special events. To represent the University of Wisconsin-Extension in a professional manner. To accept only realistic assignments. To be acquainted with county Extension office procedures, Extension publications and personnel. To respect confidences and clientele information. To remain calm and courteous at all times. To follow guidelines outlined by the Extension agent or the local MG organization. To know your limitations; to be able to say “I don’t know”; to admit you can’t provide everything to everyone. Appropriately refer complex calls to Extension educators. To acquire and retain the knowledge, and to become familiar with the resources necessary to accomplish the assigned tasks. To follow through on commitments. To provide unbiased, research-based information from the University of Wisconsin, other Land Grant institutions, or the United States Department of Agriculture. To follow published UW-Extension recommendations. To refer all commercial horticultural calls to the respective UW-Extension agent. To always use tact and to give constructive advice; never be disparaging of opinions or procedures. To be treated as a volunteer for the UW-Extension. To have a suitable and worthwhile assignment. To know as much as possible about the organization of Cooperative Extension, its policies, people and programs, and to be kept informed. To receive quality and continual in-service training to handle assignments fully. To receive positive and constructive guidance and direction. To receive recognition and a variety of experiences. To be heard; to have a part in the planning process. To receive expressions of appreciation from professionals. To be free to request other assignments if there is a need in that area. To have access to Extension office horticultural reference materials. A MGV can accept reimbursement for travel and expenses associated with preparing/conducting an educational program. With the implementation of Executive Order 54 – mandatory reporting of child abuse and neglect – all UWEX staff and volunteers are required to complete mandatory reporter online training. All Master Gardeners are required to complete this training. Even though some people may not volunteer with youth, they have the potential to interact with youth. No exceptions. This training may be included in Level 1 training as a group training, or may be done online individually. When the training is done as a group, the County Coordinator should keep a list of participants and send that list to the state Program Office. Go to the Mandated Reporter Training page on the Level 1 site to get started. It should take 30-60 minutes to complete the core of the training, with options to access additional useful information that will add to the training time. This training can be counted as 1 hour (60 minutes) of continuing education. Why do I have to do this training? I don’t work with children. With the implementation of Executive Order 54 – Mandatory Reporting of Child Abuse and Neglect – all UW-Extension staff and volunteers are required to complete mandatory reporter online training. 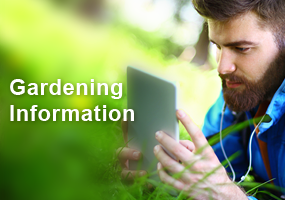 All Master Gardeners are required to complete this training; there are no exceptions. Even though Master Gardeners may not volunteer with youth, they have the potential to interact with youth. Did Mike and Susan and my county educator have to do this training? Yes, it is required of all UW staff and volunteers across the entire system, not just MG Volunteers; it is required of everyone. Why is the state dictating these things to us? We are just volunteers. There was no vote or choice given to UW staff or volunteers. This important training was designed to help protect our children, and is mandated by the Governor for all employees and volunteers who work in the UW System. The online viewing, along with answering the questions takes about 45 to 60 minutes. If I already took the training for my job, do I have to do it again? Yes. This version of the training is specific for UW-Extension volunteers. Contact your local UW-Extension Educator to find out when they will be offering the training next. What happens if I decide not to complete the training? This is a statewide training mandated by Executive Order 54 https://docs.legis.wisconsin.gov/code/executive_orders/2011_scott_walker/2011-54.pdf. There are no exceptions, if the training is incomplete you will no longer be eligible to be a part of the MGV program. A MGV who has taken training in Wisconsin can transfer to another county just by informing both counties that they are moving. They should also change their updated contact information (if they are moving residences) in the Online Reporting System. Must verify their original certification by giving their local WI Extension agent a copy of their original MG course certificate or a letter from the certifying body in their transfer state stating the date MG training was completed, final exam was passed and required volunteer hours were completed. Must have the local UW-Extension office provide their contact information to the MG Program Office for inclusion in the Online Reporting System and for the CBC. Must complete a background check, mandated reporter training, and be enrolled in the Online Reporting System (including checking off on the behavioral agreement and other statements) before starting volunteer activities. Must purchase a manual ($40 fee includes cost of background check, manual, and name badge). Must complete, during the first year they seek WI certification, the minimum number of volunteer hours and 20 hours of continuing education that is approved by UW-Extension. This is to better acquaint them with UW-Extension bulletins and gardening conditions in Wisconsin. Wisconsin MGV recertification guidelines apply once transfer MGVs are certified in Wisconsin. Should review the current online information for the Level 1 Course. Are encouraged to join a local MG association and the state WI MG Association (WIMGA). Are encouraged to take the next available UW-Extension MG training session in their area. This requirement may be relaxed for MGVs coming from adjacent states with similar gardening conditions and similar training materials. This is left up to the discretion of the County Coordinator. Family commitments, work obligations, health, and a variety of other issues sometimes prevent people from participating as a MGV. MGVs that are unable to complete the minimum requirements for recertification can resume participation by completing and reporting their hours. If it has been more than 5 years since they were last certified, they must complete 20 hours of continuing education. If it has been longer than 10 year, it is up to the discretion of the County Coordinator whether they should be required to take MG training again or just resume their volunteer activities. Any requirements that were enacted since their last certification (such as MRT, background checks, etc.) must be completed for recertification. For a very temporary interruption, an individual can complete a one year exemption request form and submit it to their local county in order to receive MG Program Office communications for the following year. It is expected they will resume normal participation and submit hours the following year. The Wisconsin Master Gardener Program relies on the public’s ability to easily recognize their services and products. To help our clientele and the public recognize the scope and nature of our mission, it is important that we present a clear, consistent message and image. This logo should only be used for UW-Extension-approved activities, programs and events. It cannot be used for commercial purposes or personal gain, or for MGA-only uses not sponsored by UW-Extension. This logo is available from the county UW-Extension educator/office or the MG Program Director. The logo should never be redrawn, retyped, stretched, recreated electronically, or altered in any way (it can be scaled to a different size, but not changing the proportions). In any application, the logo should be placed prominently so it is easily recognized and legible. The logo may be enlarged or reduced but should never be displayed so small or so large that the image is illegible. No boxes, circles, or other figures should be drawn around the logo in such a way as to appear to be part of the logo or in any way that competes with or detracts from the logo. For permission to use the MG Program logo contact the MG Program Office. This logo can be used freely by any Master Gardener Associations or Volunteers for any programs or materials those groups offer. Whenever possible, use the UW-Extension logo in conjunction with the MG logo. The county or association’s name can be added below the logo. The logo(s) may appear on letterhead used for official MG business. It should not be used for personal stationary. To download the WIMGA logo, see the WIMGA website. The US Supreme Court ruled that participation in a volunteer program is a privilege and not a guaranteed right. The federal government views volunteers as having many of the same rights and responsibilities as paid staff. The most notable exceptions include monetary compensation for work, fringe benefits, workers’ compensation and appeal process. Since volunteering is a privilege, UW-Extension has the right to determine who will serve as volunteers, and the volunteer does not have the right to appeal the decision. Volunteers can be dismissed (fired) by the local UW-Extension agent or county UW-Extension director for misconduct, failure to perform duties, or failure to follow program policies. The agent should not rush to a conclusion but should seek to discover the facts of a situation and request a meeting with the volunteer (ideally with a witness present). The volunteer should be given the opportunity to respond. A volunteer can be placed on probation or dismissed depending on the severity of the offense, past volunteer contributions, and/or indications that the volunteer plans to continue (or discontinue) policy violations or misconduct. The county UW-Extension director, regional director, and/or the State MG Program Office should be consulted. The volunteer should be given a written copy of actions taken and a copy placed in the volunteer’s personnel file. Presenting oneself as a MGV in an unauthorized role and attempting to implement management/policy decisions that are inconsistent or in direct violation of MG Program policies are considered serious violations. Displays of discriminatory behavior, sexual harassment, alcohol and/or drug use, or possession of a dangerous weapon while on the job will not be tolerated and are grounds for immediate dismissal. MGVs represent UW-Extension in their communities, thus must adhere to UW-Extension’s Purpose, Vision, and Values (PDF). When delivering information, it is important to utilize university research based, unbiased information to the public using reputable sources. If a chemical product is requested, only make recommendations for products labeled for the recommended use and all instructions on the label are to be followed, regardless if synthetic or organic. MGVs should avoid endorsing product names, and reference active ingredients when communicating with clients; any specific references should be clarified as examples only, and no sign of endorsement or criticism. Example: Brand names and commercial businesses are listed only for reference. Such references are not intended as an endorsement by the University of Wisconsin – Extension over similar brands or businesses.